A lot of online focus is on getting found by anybody in the world. However, you may have a business that is targeting a specific audience in a single geographical location. In this case, the general Search Engine Optimization (SEO) rules are a little bit different from normal. Let’s take a look at the strategies you should be aware of for this type of marketing. First of all, you have to think about keywords, just as you would for Portland SEO. However, you have to make sure that your keywords are localized, meaning that they are things people in your local area look for. Like for me as an example, website design Vancouver, Washington would be the keywords I would use. Generally, adding the name of your local area before or after the keyword helps, but there are also some other terms that may simply be more common in your area. 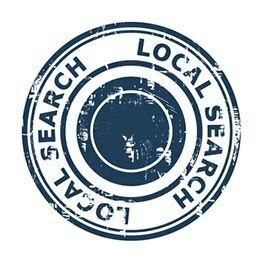 Once you know which keywords you want to work with, you have to make sure that your website can be found in local searches. Tell all the search engines that you are interested in information that is Geo-specific. You have to make sure you put your phrases in keywords in the right places in order to achieve this. These are your title and meta description. You have to make sure that your title tags are optimized for your local area. Google still uses title tags very strongly in their ranking algorithms, particularly for local SEO. Hence, make sure that you use no more than 70 characters in your title tag to mention your keyword and your location. Similarly, with your meta descriptions, you should make sure it is fully optimized. Make sure that the main areas your business works in are included, as well as your phone number. Do remember, however, that you are limited to 165 characters for meta descriptions. Next, you have to make sure your phone number and local address is mentioned on every page on your website. Add it to your background template so that you don’t forget. The majority of websites will place this information in the footer of their website. This is a great idea, but do make sure that the details are text, not images. This is because the robots of the search engines don’t look at images. Furthermore, mobile users often struggle to see the information and they won’t be able to click on the phone number and call you. If you have one website, but specific pages relating to locations, you have to make sure the right page is found in the right place. The best way to do this is to make sure that each page is treated almost as a singular website, so that each page gets optimized for the right Geo-location. Last but not least, make sure you use embedded maps on your pages. Simply go to Google Maps, where you can get the relevant HTML code to put on your website. You can even customize your link so it looks right on your website. Now if all this sounds a bit difficult you could always contact us for help or to arrange to have my business do the work for you.